We will likely have many games where not everyone can participate for the entire game. People have lives and we have 7 people total (with me) involved. That said, my stance is that as long as we have a majority (3 or more, preferably 4) we can do something with the game. I will try not to leave people too far behind and I will actively avoid running ANY Player Character (PC) as an NPC. Instead, I will go back and role play their important scenes (like a flashback episode) or save them for a future game. Regarding experience, everyone involved in the game will receive the same end xp, so missing a game does not dock you. However, not being present may cause you to miss chances to do cool RP, gain/lose Glory and Honor, and have other things occur. Finally, if something like the Tests of Topaz are missed I will simply have the missed Players make a few quick rolls. We won’t RP out those scenes as it takes away from the new session. …in the open streets Shosuro Ria battled a strange creature in the guise of Isawa Kanzen. It’s arm was off, green blood spouting to and for, and its masked had slipped. 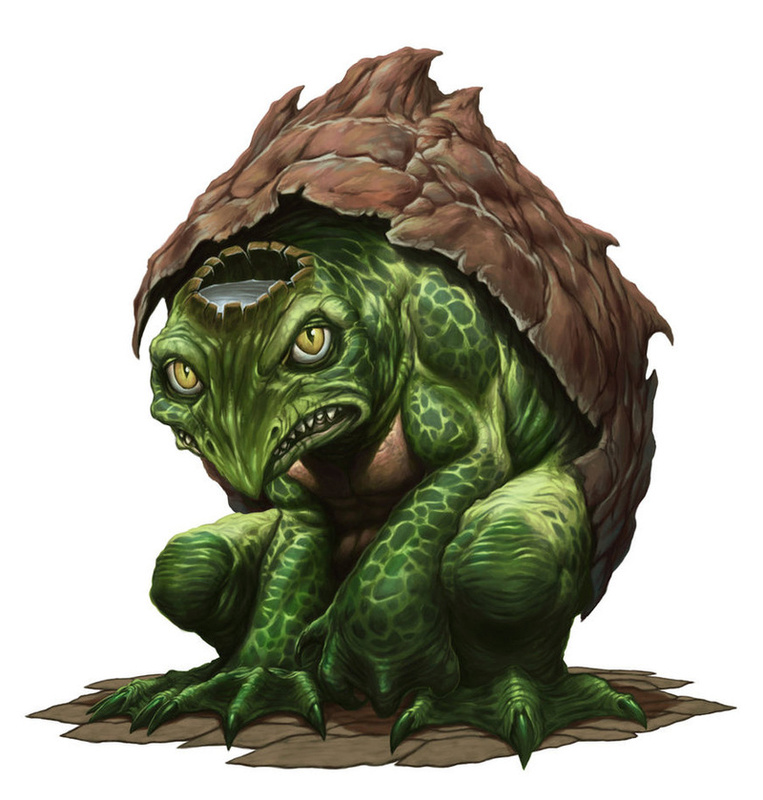 Beneath the illusion, Ria could see a weird turtlelike being with a bowl embedded in its skull, sloshing water. The creature laughed maniacally and with a subtle twist, vanished into the air. Crane guards of the Daidoji family filled the street and began an investigation of the odd events. …beneath the city, Hida Ao and Shinjo Konishi prepared to battle a maho-tsukai (blood sorcerer) in the midst of a terrible ritual. Ao charged forth and Konishi readied himself to strike. Before blows could land, the tsukai laughed, light vanished, and when it returned, he was gone. The blood, the altar, the sacrificial heimin, everything was gone. The duo investigated the strange scene for a time, but departed and hid the entryway on their leave. Shinjo Konishi hid in the folds of his kimono a strange little item, the only thing left behind by the scene. …finally, Ide Kasumi and Togashi Kaku engage full force in battle against the drunken Matsu and her gang of associates. The duo combine to take down Aeki, leaving her unconscious and severely injured (bruised and hungover in the morning). Kaku took note of Mirumoto Tomoe egging on the other Lion. Togashi and Ide stood firm, rallying together against 3 of the Lion students long enough for the Daidoji guards to arrive. Afterwards, Tomoe was nowhere to be seen. The third day of spring opened on the second day of testing for the Topaz. Rumor abounded regarding the shocking festivities of the evening before. Whispers of fights breaking out, students and samurai alike far too drunk, warred with careful rumblings of late-night trysts. Matsu Aeki seemed to be the focus as the students gathered for the Test of the Warrior within the hastily constructed Tears of the Blue Sky Theater. The Lion stood firm, her face a mask of impassivity. The bruises across her neck and head revealed the truth and many a remark was shared that she would not be the first failed Lion to resort to seppuku to salvage her family’s honor. As usual, the canny voice of Akata rolled through the crowd. Bets were made, lost, and won as the Test of the Warrior was underway. Test of the Warrior is a sumai (wrestling) competition wherein four groups of four were placed together. Within each group of four, two wrestlers each paired off to attempt increasingly complicated maneuvers against one another. Like all other tests, they were ranked from First to Fourth and received points accordingly…. Walking past actors rehearsing, priests blessing the arena, peasants running supplies this way and that, and students limbering up, a freshly toweled off and styled Kakita Toshimoko stands. He addresses those who braved a little water to compete or observe today's competition. "Good morning, honored guests and competitors. Before I announce today's test, I have a further announcement regarding the weather. The auguries suggest that the storm will continue to worsen today and tomorrow. Rather than disrupt the tournament, the Crane will be offering lodgings and meals in the theater today in addition to holding the competition here. You are free to leave, of course, but given the strength of the storm we're expecting, we would strongly recommend staying the night here, especially if you are competing in the tournament. If you leave today there will be no consideration given for missing the competition." He offers a brief glance back at the priests before continuing. "While yesterday's competition focused on matters of the mind, today's test focuses on the most intimate of hand to hand combat: Sumai." With that said, the Grey Crane dropped sixteen chops into the Topaz bowl an drew forth the pairings. The First Group did not disappoint in their showings and resolved with the highest spread of points. Shinjo Konishi defeated the Crane, Himeko; and Hida Ao defeated the other Unicorn, Kasumi. The Second Group witnessed crowd favorite Bayushi Sugai reign supreme over his opponents. The White Wolf continued to surprise as she took second and all looked on with dreadful anticipation as Matsu Aeki left the arena with nothing. The Third Group developed as expected, with the bushi Tomoe defeating her shugenja competitor, Kenzan; and the trained jiujutsu monk, Kaku, handily defeating the ronin Toku. The Fourth Group fell as expected with the bushi Sai and Tadamo taking first and second, the athletic shugenja Fujizaka taking third, and the deceptive Scorpion receiving zero points. While various servants tend to people's needs and check to make sure the building's defenses against the storm remain strong, Kakita Toshimoko moves to the front of the stage to address the crowd. His voice is a bit louder than normal to counter the sound of the intense winds just outside the building. "Honored guests of Tsuma. The auguries point to the storm reaching its zenith today. The Crane will, of course, provide you with lodgings and meals here today, and hopefully tomorrow you can return to your lodgings. As a precaution, we will schedule tomorrow's test to take place here in the theater." He waits a moment before continuing to the day's challenge. "A samurai must be a master of both Winter and Summer. This morning, we saw demonstrations of the martial nature of our competitors. Now they will instead grapple with the intricacies of political argument. Remember, a samurai owns every word they say, even in debates such as this one." OOC Note: The base roll for this competition was Awareness/Courtier (Rhetoric), but each contestant could resort to either Intimidation or Temptation with an honor loss to lower the TN and succeed. The First Group saw a series of complicated arguments laid bare, the judges impressed by the depth of the contestants’ answers. Ide Kasumi took a commanding lead, though Tadamo and Himeko revealed that bushi, too, can be quite skilled in court. Surprisingly, the Lion bard Shorisuru fell last. The Second Group ended remarkably with the Scorpion duo winning strong, though the Shinjo held his own. Unfortunately, Matsu Aeki continued her streak of failures and left with zero points. Rumor holds that the Scorpion may have come into the competition with unfair advantage, though few say such in the open. The Third Group saw a surprising upset with two Crab outscoring a Crane and the mysterious ronin above them all. The Fourth Group shocked everyone with the monk Kaku readily defeating all opponents, outshining with remarkable wit and debate ability. 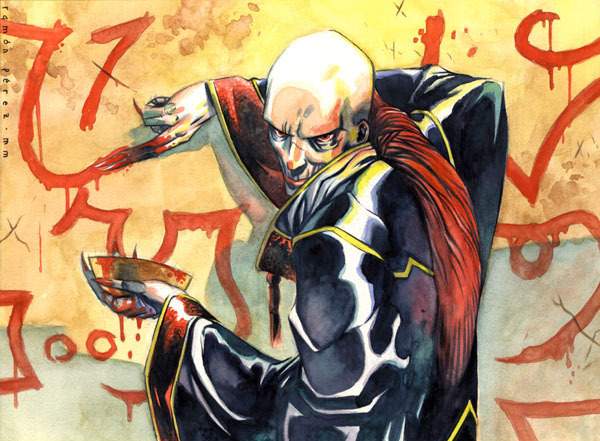 A further shock was the ronin Toku’s ability to keep up with the topics, though whispers abound that the shugenja Kenzan may have let the ronin tie him. Not satisfied with the results of the event, or Bayushi Sugai’s bragging nature, the contestants engaged in a bonus round of sorts. Kaku, Sugai, and Kasumi stood above all others with the highest scores and engaged together in a three-way debate. It seemed the Scorpion would win again, perhaps even drawing the Unicorn into physicality. At the last moment, the Togashi’s strange words threw off the Bayushi and he tied with ide Kasumi. -> Any PC who scored first in their group of four (earned 3 Topaz pts) gains one free xp to be spent on Strength, Jiujitsu, or the Grappling Emphasis. -> Any PC who scored first in their group of four (earned 3 Topaz pts) gains one free xp to be spent on Awareness, Courtier, or any Courtier Emphasis.